In the last decade, the number of heroin users rushed to the emergency room in Orange County has more than doubled. This is according to a report done by the Orange County Health Care Agency. Orange County has many generally wealthy residents and they make up the highest number of heroin users who frequent the emergency rooms. Dana Point has the highest number of heroin users with the highest emergency room visits. Some believe that these affluent communities have the resources to acquire this illegal drug for recreational use. Sadly, most users don’t realize the grip heroin has on them until it is too late. The National Survey on Drug Use and Health reported that the prevalence of heroin use in Orange County has led to an 88% increase in overdose-related deaths between the years 2000 and 2017. 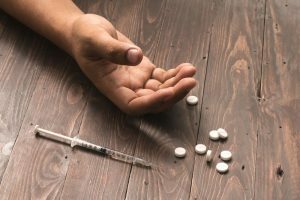 OCHCA has noted with concern that there are unique risk factors that were recognized for the Orange County residents, they are partly responsible for this high heroin, and opioids use. Just like any other opioids, heroin is difficult to detox from because the withdrawal symptoms linked to it are traumatic and painful. Many addicts relapse because they are too afraid to live through these symptoms. The withdrawal profile of heroin is similar to that of most prescription drugs. Symptoms of heroin detox begin within 6 to 12 hours from the last use. They then peak after 1 to 3 days and should be typically gone within a week. That notwithstanding, some individuals experience withdrawal symptoms for much longer and some go through Post-Acute withdrawal syndrome which could last for months. Although most users experience these withdrawal symptoms, the experience of heroin detox is unique for everyone. Your body makeup, weight, metabolism, length and severity of abuse all affect the withdrawal symptoms you will experience and the severity. Detoxification means allowing the body to rid of the foreign matter and in this case heroin so that it can go back to its normal state/homeostasis. Most people choose between a social model detox alternative and medically supported detox plan. Medical detox involves the administration of prescription drugs which help manage the cravings and withdrawal symptoms. In most cases, patients are given suboxone or buprenorphine, which are safer synthetic opioids with less aggressive withdrawal indications. Medical detox is ideal for individuals who have used heroin heavily and for a long period. The objective of medical detox is to break the heroin addiction by allowing the heroine to self-eliminate out of the body. Before treatment commences, a medical team helps the patient develop an appropriate and safe treatment plan. During the heroin detox, patients are put her round the clock supervision to ensure that they stay safe and healthy. Their blood pressure, temperature, and heart rate are monitored and if any concern arises, the medical staff take measures to mitigate it before it escalates. Some withdrawal symptoms can be life-threatening and that is why it is advised that one seek medical help during heroin detox. While the standard detox process takes several weeks, there is another type of medical detox known as rapid detox. In rapid detox, a patient is given a variety of medications while under sedation, so as to increase the rate of detoxification. While under sedation, the medications administered help eliminate the heroin from the body within a few hours. Rapid detox was developed in the 1980’s to help opioid addicts detox. Because it takes place under sedation, the patient does not have any memory of discomfort or the detox experience. Most health practitioners no longer use this method of detoxification because most people do not have the capacity to handle the physical stress associated with it. In addition, some patients who go through post-acute withdrawal symptoms following the rapid detox procedure. In the social model detox, you are allowed to detox naturally while under care by a medical team/profession. With this kind of detox you don’t need to go to a medical facility, you can do it from the comfort of your home but have a medic with you to observe and render medical help when the need arises. Most people prefer this model because it’s safer and less traumatic as there is a medical professional ensuring your withdrawal symptoms are adequately managed. Cold turkey method is the most recognized form of heroin detox. It is where an individual who really wants to quit the habit decides to stop using heroin on their own using sheer determination. You may opt to get a prescription from your doctor to help with the withdrawal symptoms or choose to allow your body to go through the tide until the drug has completely left your system. This method although popular is the least successful. Since most people that go cold turkey don’t have support from a medical professional, if the withdrawal symptoms become too overwhelming, most of them relapse. It is also dangerous because should you face life-threatening withdrawal symptoms while alone, they could be fatal. 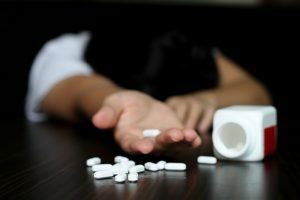 Some patients also get desperate and overuse the prescribed opioids in an attempt to manage the withdrawal symptoms and this can lead to further complications or even death. Cold turkey is not recommended for heavy users of heroin or users who have used the drug for a long time. If you are relatively new at the habit, you might be able to detox using the cold turkey method. However, it is highly advisable that you get a companion to stay with you during the detox period so that they can get medical attention should you start exhibiting life-threatening symptoms. Unlike cold turkey, tapering is a much gentler approach. In tapering, you reduce the heroin intake gradually as you give your body time to wean off the drug from your system. As you reduce the intake, the body is better able to manage cravings. Tapering also reduces the risks associated with dangerous or negative withdrawal symptoms, which usually occur in cold turkey. Tapering is often applied in rehabilitation or professional treatment centers because it requires careful management of the drug dosage as well as keen medical supervision. When done improperly, tapering can be just as hazardous as going cold turkey. Home detox kits are cheap and they have what you need to detox from the comfort of your home. However, a good number of the kits sold over the counter in drug stores are useless. In fact, experts and healthcare professionals advice that using such kits without medical supervision could cause more harm than good. The effectiveness of home detox kits has not yet been corroborated by medical science. The ingredients used usually comprise of supplements, which has no impact on the body’s filtering processes. Although there is a possibility that some detox kits have been beneficial to some individuals, they are by far the most ineffective in heroin detox. It is more likely that the addict’s body goes through detox naturally due to normal kidney and liver function and not as a result of the home detox kit. Some argue that most home detox kits are simply a fancy look to the cold turkey process. One that comes with a more expensive price tag. Moreover, some patients develop side effects from consuming the unregulated supplements in-home detox kits. Cases of relapse with home kits are also high. Recovering from heroin addiction take time and commitment. To reach your goal of sobriety, you need a steady support network, effective treatment approaches, a stable environment, and caring mentors. You need to get help from a facility that will provide you with the means and tools that you need to build a foundation for sober living. A good rehabilitation or treatment center should be able to guide their clients through the full recovery process that included detox, inpatient care for medical detox patients, and long-term aftercare. The staff should be adequately trained and available at each step of recovery through their individual journey. Intensive outpatient programs also known as IOP help heroin addicts establish a foundation for lifelong sobriety. This program is designed for patients who do not require or who have already gone through detox. IOP gives the patients a chance to go through structured intensive treatment while enjoying the convenience of outpatient care. Most recovery centers offer this program and help heroin-recovering addicts regain their independence and get to a point where they can fully support themselves. Who is an ideal candidate for the intensive outpatient program? The IOP program works best for individuals who require more support, which is structured unlike what traditional outpatient programs offer. It is good for individuals who have had repeated relapses, who live in high-risk environments or suffer intense cravings. It is also ideal for individuals who cannot afford admission to inpatient rehabilitation facilities due to financial constraints. The IOP program also works well for individuals who are transitioning from inpatient care to independent living. Unlike traditional drug rehabilitation programs, the intensive outpatient treatment demands a higher level of commitment. Patients must attend a minimum of four group therapy meetings weekly and at least one individual therapy meeting. In total, a patient should go through about ten hours of therapy per week. Patients must also move in with family or into a sober living home that is substance free and safe, to help keep them off enabling influences and temptations. Since IOP is an outpatient program, clients are not required to stay within the facility throughout. As long as they make it for the meetings and therapy sessions as required, they can engage in other activities and even go to work. In fact, some patients attend the evening meetings and still work full time during the day. This arrangement makes it possible for a recovering addict to regain independence and support themselves while going through recovery. The flexibility as well as lack of medically controlled detox, make outpatient programs different from inpatient treatment options. Why go for intensive outpatient care? If you have already gone through detox, then IOP is better suited for you as it will help you start preparing for independent living. Secondly, the intensive program will help you stay on course with your commitment to sobriety. Thirdly, it is more affordable than inpatient care and if you have already detoxed, you do not need inpatient treatment. The program provides a smooth transition if you have just come out of inpatient care. It also gives you an opportunity to apply what you learned in Inpatient rehab care to the context of your aftercare treatment. For a majority of recovering heroin addicts insurance is of great concern. A good number do not have insurance and those who do always worry about getting coverage for intensive outpatient treatment. Luckily, most insurance carriers cover for addiction treatment but are specific on the kind of treatment they pay for and how much they are willing to cover. To determine this issues, most insurance providers consult with the American Society of Addiction Medicine or ASAM. This is the body charged with developing guidelines that determine who requires what kind of treatment. ASAM’s criteria identify four treatment levels. If you do not have health insurance or if your insurer does not cover drug rehabilitation treatment, there are other platforms that offer free counseling, free detox programs, and even free outpatient aftercare programs to heroin addicts. Some of these are government run. Although the quality might not be as outstanding as what you would find in some private clinics, the tools they use to help you through recovery are adequate and with the right support, commitment and determination, irrespective of your insurance policy, you can beat heroin addiction. Inpatient treatment involves heroin addicts living within a rehab facility during their recovery from addiction. It is was started with the aim of separating addicts from the outside world so as to keep them safe from unwanted temptations or influences, which they might not be able to fight on their own. Inpatient rehab care provided round the clock supervision by trained staff. It also offers great peer support and regular group and individual therapy sessions that are strictly scheduled. This treatment is patient-focused and during a stay at an inpatient rehab center, you will find that all the activities are geared toward detox and recovery so you’re totally immersed into it. It is one of the most successful forms of rehabilitation. As treatment progresses, a patient can earn the privilege of leaving the premises for a short time or even an entire day to interact with the outside world and then return willingly back to the center. The duration of treatment in inpatient centers varies from individual to individual. Inpatient programs can last anywhere from 90 days to a year. Most new inpatient clients first go through medical detox from the centers then follow that with inpatient aftercare treatment. Because of round the clock medical professionals at one’s disposal, the detox program in inpatient facilities has a very high success rate. Medications are administered by medical professionals strictly and once the detox process is over, patients do not receive any other medication. Safety from negative or tempting environments. This is especially true for addicts who have had prolonged use and live in high-risk environments. Being cut off from any negative influences helps prevent relapses and ensures the detox process has effectively taken place without interruption. It also removes the patient from stressors and triggers that influence their drug use. The 24-hour staff assistance and supervision received in inpatient care cannot be understated. Expert medical personnel is there to offer not just medical support but emotional and psychological support as well. They provide professional adequate care that makes the recovery process easier to manage. They give patients the tools they need to rebuild their lives so that at the end of treatment, they are in a better position to stay drug-free. Peer care and socialization. When inpatient care, you meet other heroin addicts who understand your struggles better than most. Sharing experiences and encouraging each other’s’ efforts of sobriety makes it easier for everyone. You also end up forming meaningful relationships and networks with people who can help you stay accountable once you leave the inpatient facility. Evidence-based scientific therapy. In inpatient care, you’ll find certified addiction health specialists who use cognitive behavioral therapy to help patients get rid of negative thoughts and develop healthier thoughts. They help patients heal through mental health challenges such as anxiety and depression. In inpatient care, all your time and energy are immersed in your recovery. This allows you to focus on your issues and healing without external influences. Inpatient care also offers safe and secure premises conducive for detox and recovery. Inpatient rehab centers are cleverly designed to provide a serene environment that is conducive for the healing of one’s body and mind. From the locations to the structure to the surrounding, everything is carefully put in place to aid in the recovery process. While medical care is key during detox, while undergoing recovery in inpatient rehab centers, you also get medical professionals who can attend to other medical needs that you might have during recovery. Most inpatient centers have many recreational amenities that also aid in recovery from gyms to pools, gardens, board games, video games to mention but a few. It’s like being in a home away from home. Inpatient facilities also offer professional family therapy sessions. Most heroin addicts end up with strained relationships with their families and since the family can play an important role in helping the recovering addict stay sober, mending these relationships is critical and family therapy in inpatient treatment centers provides this option. If you or someone you know is suffering from Heroin addiction, there are many heroin treatment centers in Orange County to choose from. A quick google search will provide a list of credible rehabilitation centers that have a wealth of experience helping heroin addicts through recovery. One of the facilities that make your search easy is Addiction Recovery Now. They have a comprehensive directory of healthcare facilities and hospitals that offer rehabilitation treatment. They help you choose what is ideal for your needs by making assessment easy. Detox facilities, which provide a medically aided and safe program that is monitored. These facilities help addicts deal with the physical aspects of the addiction. Residential rehab programs provide a controlled environment and extra support that helps minimize the risk of relapses to those in recovery. Partial hospitalization centers which are good for addicts with dual diagnosis. That is heroin addicts who also suffer from mental illnesses. Intensive Outpatient Care which helps patients who have gone through detox as they transition to independent living. Sober living homes, which help recovering addicts stay sober by giving them a drug-free safe environment to live in. Heroin detox is one of the most excruciating experiences an addict can go through but there is hope. You don’t have to go at it alone and once you detox, your recovery journey will be much easier and chances of relapse much lower.